The Pumpkin Patch is open Saturday and Sundays 10-5:00 and most Fridays, check calendar. If you would like to schedule a field trip or a visit to the farm during the week, please call ahead so that we can accommodate your group. If you are landscaper, or designer, we would love to meet with you during the week, or when your schedule permits. 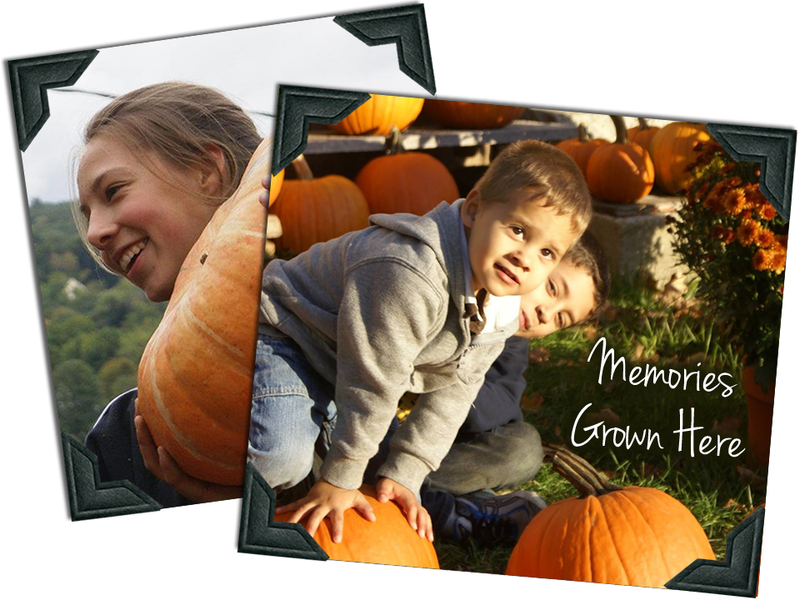 From traditional pie pumpkins to the exotic varieties, we offer a large diverse selection. You are welcome to pick right from our many patches or select one from our Harvest Barn Gift Shop. The Harvest Barn is filled with pumpkins, gourds and squash all grown here on the farm. We also offer local items such as Goat Boy Soaps, local artwork from Claudia Rahm, and Whitney Rahm Weldon, maple syrup, local honey, Wren House Soy Candles, Tractor Mac books, gifts, decorations and more. We have activities planned most weekends, please check the calendar for the schedule of events.